The hotel "Prince Mountain" looks like a large well-groomed Alpine house, where European comfort is combined with the elegance of style. It is built using wood and stone - environmentally friendly materials. Complex "Prince Mountain" is located at the foot of the mountain on the outskirts of Kanev on the banks of the Dnieper River. 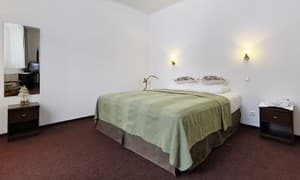 Inside the hotel, the low-key color scheme (white, green, dark brown) is emphasized, the elegant details of the interior complement the sense of exclusivity - picturesque works on the walls and a wooden staircase of manual work. In 2010, the art hotel passed the certification procedure, receiving the category of "three stars." The hotel is equipped with CCTV, and the parking lot is securely fenced. The hotel "Prince Mountain" - a high level of comfort and service by qualified personnel. 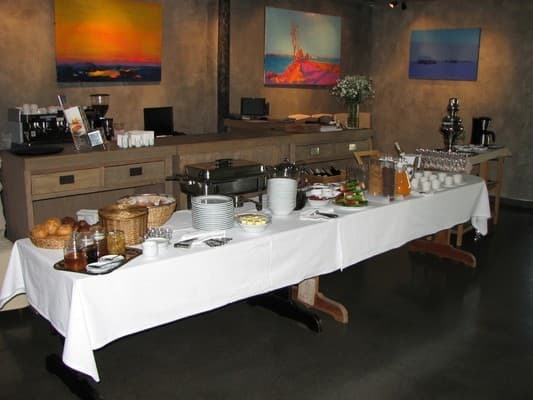 The hotel offers a 24-hour reception, a conference hall, and laundry services. For younger guests there is a children's room and a children's playground. 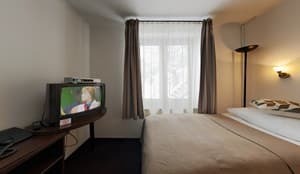 Each of the 13 rooms of the hotel is equipped with ergonomic furniture - a sample of comfort and practicality, an electric kettle, a set for making coffee and tea, satellite TV and free access to a Wi-Fi network. Description of the room: One room (18 sq.m), without windows, air-conditioned; san. node with a shower. The room has a TV, Internet WI-FI. Description of the room: One room (16 sq.m). The room has a TV, Internet WI-FI, a fan, a bathroom. node with a shower. 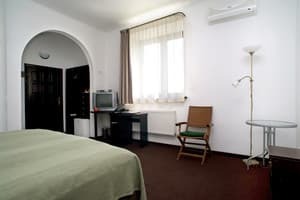 Description of the room: One room (16 sqm) with air conditioning. The room has a TV, Internet WI-FI. San. node with a shower. 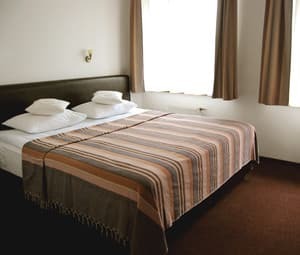 Description of the room: One room (21 sqm) with air conditioning. The room has a TV, Internet WI-FI, WC with shower. The room number 301 - corner bath. 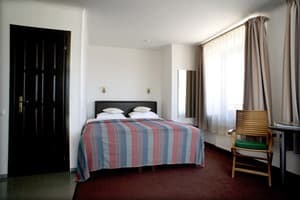 Description of the room: One room (20 sqm) with air conditioning. The room has internet WI-FI, telephone, bathroom. The rooms offer stunning views of the Dnipro. 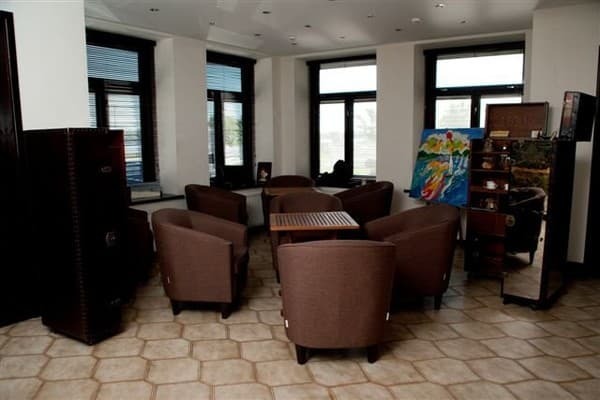 Description of the room: Two-room (38 square meters), consisting of a bedroom and living room. Comfortable furniture, air conditioning, a bathroom. unit with corner bath. The rooms offer stunning views of the Dnipro. The room has a TV, Internet WI-FI. Children under 7 years - free of charge; from 7 to 12 years - 120 UAH. Extra bed for an adult is 160 UAH. Complex "Prince Mountain" is located at the foot of the mountain on the outskirts of Kanev on the banks of the Dnieper. Tarasova Mountain is a 5-minute walk away - a cultural and historical monument of world importance. In the direction of Kanev by bus number 2 (stop "Tourist base").